Bonnie Langreder, Charlie’s spouse, attended the meeting today. She will be a new Optimist member soon. Becca Winters, Steve’s daughter, joined the Downtown Optimist Club today. Jack Cruise stated he his 55th wedding anniversary is this Friday. Dave Murphy is today’s greeter. He indicated greater than 10% participate in firearms deer season in MO, and about 200,000 deer are harvested each year. It is a very safe activity with few accidents. Dave recently spent time with family and friends. He wishes everyone a Happy Holiday. President Dewey awarded the mystery person to Larry Fick for his efforts in helping with Koeze Nuts order processing. President Dewey paid the pig, thanking all members who have helped with the Christmas tree lot planning and preparation. Thanks to C.O. Scheffer and Rick Mckernan for all their work this weekend with the tree lot. President Dewey also paid the pig for the fact that her picture was in Prime Magazine Columbia MO recently. Carl paid the pig to thank all persons who have helped at the tree lot, noting for example the help C.O. Scheffer provided, Rick (who has also worked some double shifts), and to Steve Winters for the excellent Koeze Nuts display the clubhouse. Jim Murphy stated they prepared chicken fingers and Buddy Packs at the Food Bank. President Dewey would like to thank everyone who came out and work this past weekend at the tree lot. We had a great crowd of people who came out to buy their trees, candy, wreaths and supporting our Optimist Club. President Dewey is asking everyone who is able to work at the Christmas tree lot to please sign up to help out. The more members and volunteers we have the less we will have to pay people to work. We can then save more money and be able to pay for the different youth organizations in Columbia. President Dewey also thanked Rick and Abe for repairing a gutter at the tree lot that was leaking. Jack Cruise noted that tree sales this past weekend were the largest he can recall. About $9,000 in tree sales occurred on Friday, and $12,000 on Saturday. Steve Winters provided an update on Koeze Nut sales. Ed Harre stated that so far this Fall there has been about $92,400 in Koeze Nuts and Restaurant Gift Certificates sales. President Dewey stated the Holiday luncheon is at the Club house on Monday, December 17 with a cost of $­­­­10.00/person. Hy-Vee will catering the luncheon. Please pay Larry Fick by December 12. President Dewey stated the Zone Meeting/Holiday Party is on 12/8/18 at Sunrise Optimist clubhouse from 5:45 p.m. to 9:00 p.m. 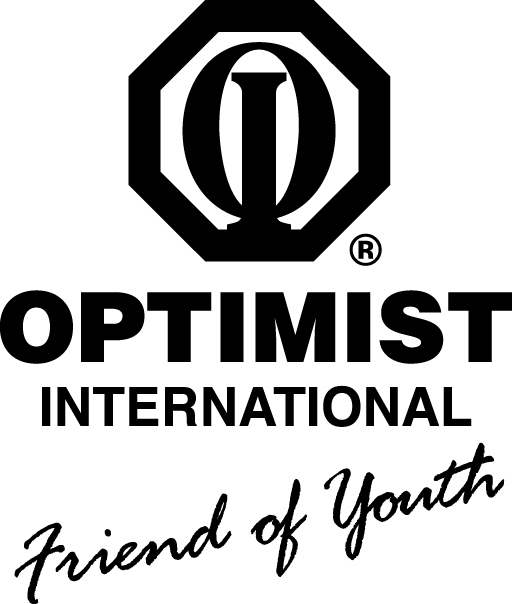 There will be a dinner at the Sunrise Optimist clubhouse on Monday, January 7, 2019. Happy Hour from 6:00 p.m. to 7:00 p.m., and dinner starts at 7:00 p.m.
Rick Mckernan introduced Chelsea Leipard and Connie Leipard as today’s speakers. Chelsea is current President, National Association of Women in Construction-Central Missouri Chapter #341. Connie Leipard is the Immediate Past President of the National Association of Women in Construction (NAWIC). Chelsea noted how her experience with Soap Box Derby through the Optimist Club had influenced her interest in the construction field. When she was younger she and her brothers had participated in Soap Box Derby. She had won a couple of Derby races. Chelsea had later helped a cousin of hers build a Derby car, and her cousin too had won derby races. Chelsea stated it is great to see kids learn how to do things, through hands on experience, such as with Soap Box Derby. The Soap Box Derby program, for example, helps kids show more interest in things like the construction field, to learn to build things with their hands. Chelsea asked that we continue to promote programs and projects through Optimist Club that get kids more involved with their community, such as the Soap Box Derby and Christmas Tree Sales. Chelsea had mentioned the NAWIC Central MO Chapter has events such as the Annual Block Kids Contest on 1/5/19 at the Ashland Optimist Club. This is a building-block contest using interlocking blocks – to encourage awareness of the many opportunities in the construction industry. This contest is for kids Kindergarten through 6th grades. There is no cost for this contest. There is also an opportunity to make a cash donation for local NAWIC chapter and/or items for a take-home bag for kids, such as pens, pencils, note pads, hats, key chains, balloons, rulers, coupons, etc. One can also assist in helping with a take-home building project for kids attending – birdhouse. Judges are needed for the Block Kids contest, and please let NAWIC Central Missouri Chapter know if you are interested in being a judge. The presentation was followed by a Questions and Answers session. Adjourn with the Creed: 12:35 p.m.